Soak basmati rice in water for 30 mins. Cook them separately in a vessel. Take a kadai add oil cumin and mustard seeds with chana dal, once they start to splutter add curry leaves, green chillies and onions. Once the onions turn into golden colour add ginger garlic paste and fry them for 1 miniute, now add finely chopped tomatoes, turmeric powder, chilli powder, salt, mint and coriander leaves. After a minute add the cooked basmati rice and mix them well slowly(use a flat spatula). Let it simmer on low flame for another 5 minutes and then garnish with coriander and serve hot with raita and papad!! Wash and peel boiled eggs. Make slits on all sides of eggs, fry them in oil for few minutes and keep them aside. Soak basmati rice in water for 30 mins. Drain and cook them in water, 1 clove, bay leaf and 1/2tsp salt. Once the rice is half cooked drain the excess water and keep it aside. Now take a heavy bottomed vessel or a big handi. Add oil, ghee, cloves, cardamon, cumin seeds and onions fry till they change colour. Then add chillies, 1/2 cup mint leaves and coriander, chilli & turmeric powder, garam masala, salt, curd and mix well. Once the oil starts to appear in the masala add eggs and cover with lid for few minutes. Add 1 layer of the half cooked rice on top of masala and spread evenly. Then add the remaining mint leaves and coriander and add the rice as a 2nd layer. Add some ghee, and saffron mixed milk on the rice and cover the lid. Let it cook on low flame for about 10 mins. 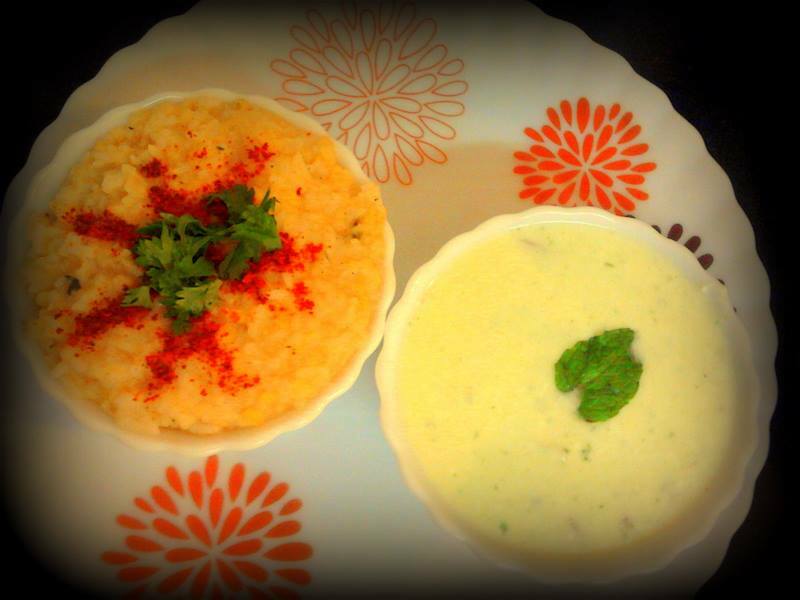 Once done, mix the rice carefully with a thin spatula and garnish with some coriander and serve hot with raita! Pressure cook dal (3 whistles) and keep aside. Peel and chop cucumber into fine pieces. Take a bowl and add oil, cumin and mustard seeds, once they start to crackle add curry leaves, hing and green chillies. Fry the for few minutes and then add cucumber pieces, add chilli powder salt and cover with a lid. Once the cucumber is cooked thoroughly add dal and little water and let it cook for fewmore mintues. 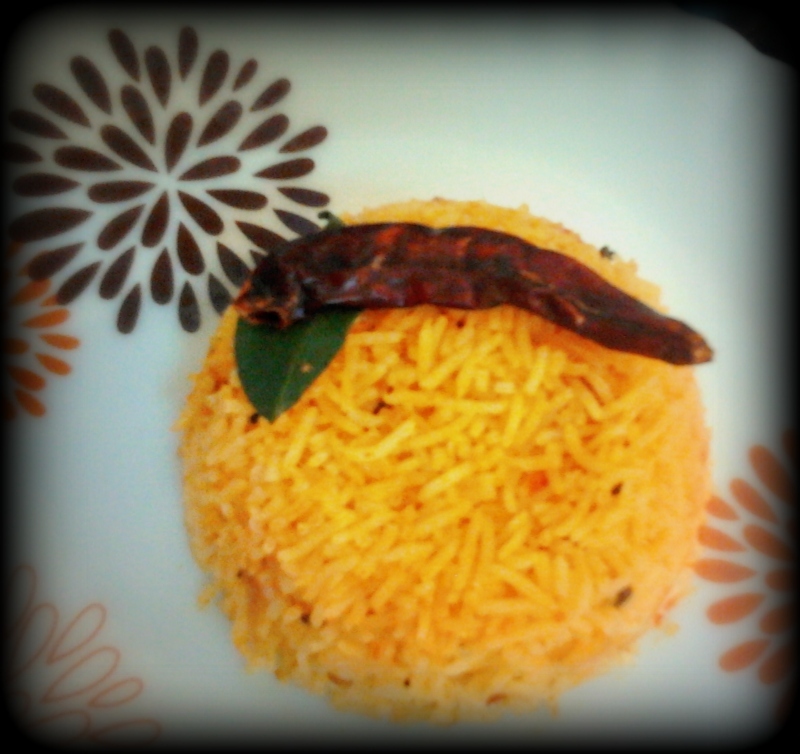 Garnish with coriander and serve hot with ghee rice and mango pickle! Who needs a super man when you have the coolest dad home!! Clean and wash prawns and boil them for 10 mins and keep them aside. Dry roast fenugreek seeds and grind them into a fine powder. 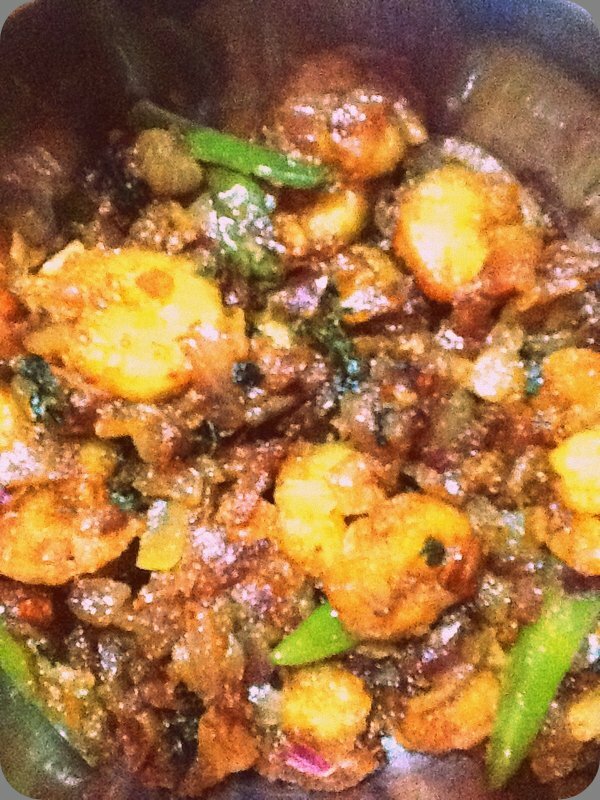 Drain prawns and fry them in a kadai with 2 tsp oil. Remove them and keep aside, in the same kadai add some more oil, curry leaves, chillies, ginger garlic paste and onions. Once the onions turn into golden colour add the fried prwans, salt, chilli, turmeric, coriander, cumin and fenugreek powder. CoveR the kadai with lid and let it simmer for 10 mins. 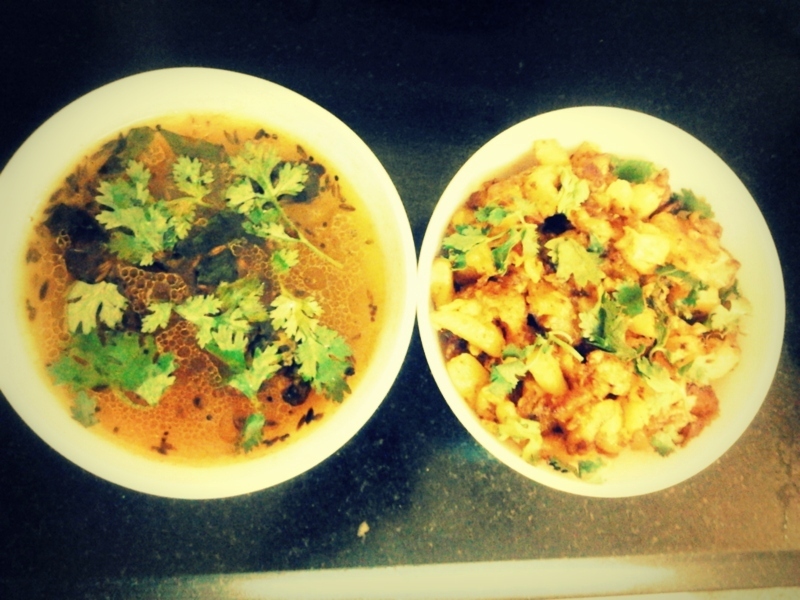 Garnish with coriander and serve hot with steamed rice!! Boil tomatoes with drinking water till they become soft and skin starts to peel off (or you can pressure cook for 3 whistles) and leave them to cool. Then taken the tomatoes into a drainer and squeeze the juice out into a bowl and keep aside. Coarsely ground cumin, chopped garlic and peppercorns together, Take a heavy bottomed vessel and add oil and put the grounded powder, curry leaves, red chillies, urad dal and fry them for a minute. 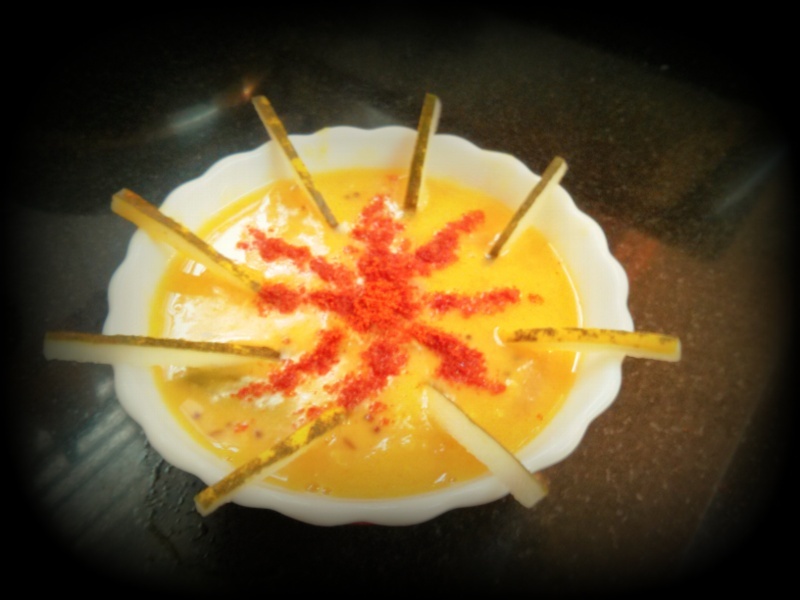 Add the tomato puree in the vessel and tamarind paste, add some water and let the rasam simmer for 10 to 15 mins. Garnish with coriander and serve it hot with rice. Peal, wash and finely chop potatoes into tiny cubes, in a kadai add oil, curry leaves, turmeric powder and potato cubes, stir them continuously so that they don’t get stick to the kadai. Now add salt, chilli and pepper powder and fry them on low flame with a lid for 5 minutes. Then remove the lid let them fry for 10 more minutes and keep checking in between. Use a fork spoon and check if the potatoes are cooked perfectly, once done garnish with coriander and serve hot with rice. Roast the moong dal in a pan till the colour changes, then soak dal and rice together for 30 mins. Heat 2 tbsp butter +1 tbsp oil, add the dry garam masala(cumin,cloves, cinamon, elaichi,peppercorn) when they start to splutter add curry leaves, red chillies and hing and stir them. Then add rice and dal and mix them well, after few seconds add water and salt, pressure cook it for 3 whistles and keep it on steam for few more minutes. 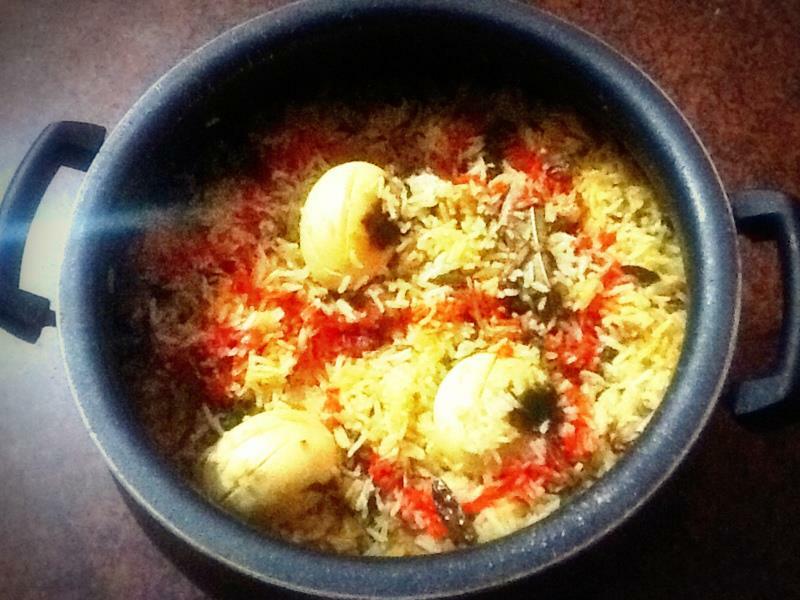 Now take the khichdi into a bowl,garnish with some chilli powder for the colour and sprinkle coriander leaves on top. Serve it hot with any Raita or Pickle and papad. Make a paste of mint leaves and chillies together and add it to the curd with onions and cucumber and garnish with some coriander and mint leaves.